United won back-to-back league games for the first time since August with summer signings Zlatan and Paul Pogba again proving key. The Swede continued his recent prolific form with another crucial, match-winning moment and Pogba enjoyed his best game in a United shirt with a magnificent string-pulling performance behind Ibra. The pair are providing what you'd expect from big-name signings: crucial, match-winning moments when the team need it most. 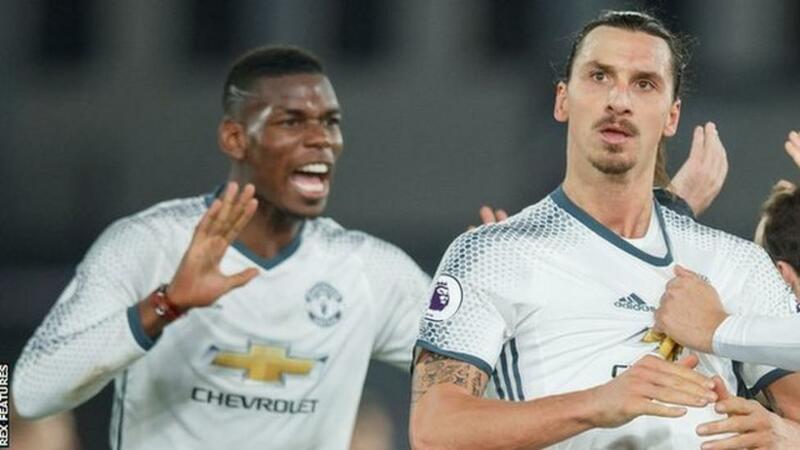 Pogba and Zlatan were Jose's two showpiece signings in the summer and they are starting to deliver as they seem to be clicking on the same wavelength. There was a touch of controversy about the creation and finish of the opener as Zlatan seemingly handled the ball and Pogba appeared to be marginally offside. United's dynamic duo combined again for the winner with, this time, roles reversed. Ibra made the perfect run to control and finish after the Frenchman - who capped an outstanding display with an assist and a goal - had picked out Zlatan with a scintillating pin-point pass. Their collaboration is happening more and more and United are reaping the rewards. Pogba set up Zlatan to score at West Ham and again at Zorya when the Frenchman's superb slide-rule pass found Ibra to knock in our second. Both players had their critics when they joined United but both are now proving their worth. Ibra scored 50 goals in as many games last season, an outstanding return at any level, but there were fears that he was too old and slow to cope with the physical demands of England's top flight. Those doubts were only heightened during his 12-game, two-month goal drought but have been well and truly banished after his 14th of the season and eighth in as many matches. Pogba struggled for consistency and confidence in his first few matches since his return but the pair's improvement has co-incided with United's collective upturn in form. Zlatan reminds me of a certain Frenchman by the name of Eric - his work rate is sometimes questionable and he can be frustrating but he's got that feisty edge to his game to match his mercurial talent. Two high-class players are in tune with each other and this can only be good news for them, Jose and United as a unit. With fixtures coming thick and fast, long may this continue.